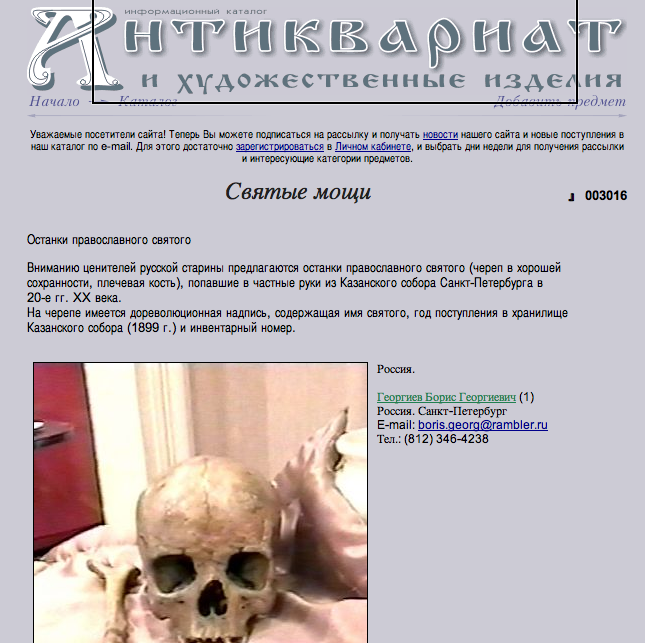 One Russian antique shop sells… remains of a medieval Russian Orthodox Christian saint. 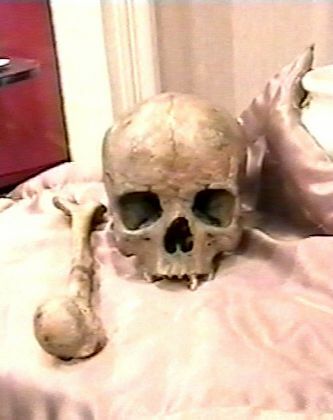 His skull his bones which were stored previously in Kazan cathedral. The price is not declared, the items are from private seller. So does anybody want a piece of the saint? Description says it was removed from Kazan cathedral storages and kept in private holding since 1920. I would prefer a piece of one saint homosexual pontiffs. Yeah fake relics are everywhere and always have been. I wouldn’t buy it. There’s only one piece of a saint I’d be interesting in buying, and it doesn’t contain any bones, so I guess I’m out of luck. someone was sellin spoiled food on ebay with supposeuly holy looks on it. do you wanna buy root hamburger for your home collection.